Shane Patrick Long (born 22 January 1987) is an Irish footballer who plays as a striker for Southampton and the Republic of Ireland national team. Long also played hurling for Tipperary in his early life. Long began his football career at Cork City. He later moved to Reading where, among other achievements, he scored three goals in ten substitute appearances during his team’s Championship-winning 2005–06 campaign, guided his team into the Fourth round of the FA Cup by defeating Liverpool in a third round replay match in 2010, and later won a player of the season award. He signed for Premier League side West Bromwich Albion in 2011 for a fee of £6 million, and joined Hull City in January 2014, then Southampton in August 2014. Long made his senior debut for the Republic of Ireland in 2007, and has since earned 80 international caps. Long was born in Gortnahoe, County Tipperary, Ireland. Long was a talented hurler and appeared in two All-Ireland Minor Hurling Championship (Under-18) semi-finals with Tipperary at Croke Park, and was regarded as a pacey and promising forward. Long was also playing Gaelic football at this time, and started his career in the game with Two-Mile Borris club St Kevin’s FC in 1994, joining St. Michael’s in Tipperary Town in 2002. Long was discovered and brought to Cork City with a scholarship on 1 July 2004 by Pat Dolan. Long was called to the first team squad for the 2005 season when manager Dolan was replaced by Damien Richardson, and the new manager awarded him his senior League of Ireland debut on 25 March 2005 as a substitute for Joe Gamble. His only other appearance was again as a substitute in the Setanta Sports Cup on 2 May. However, following Dolan’s consultation with his brother, Reading coach Eamonn Dolan, Reading made bids for both Long and Kevin Doyle. Cork were forced to sell Doyle due to a contract clause, but the circumstances surrounding Long’s transfer were not disclosed. Long signed as a Reading player on 7 June 2005. On 9 August 2011, Long signed for Premier League side West Bromwich Albion on a three-year deal, with a further year’s option. Although the fee was undisclosed, it is believed to be £4.5 million, with add-ons that could eventually rise to £6.5 million, which would be a record fee for West Bromwich, surpassing the £4.7 million paid for Spanish international midfielder Borja Valero from Mallorca in 2008. On 12 August, Long was handed the number 9 shirt, and two days later made his debut in the league opener against Manchester United at The Hawthorns. He marked his debut by scoring an equalising goal that went past Manchester United goalkeeper David de Gea, albeit in a losing effort, 2–1. Long scored again in the fourth minute of his second match, against Chelsea on 20 August 2011, in what proved to be yet another 2–1 defeat. Long scored his third goal in the fifth minute against Sunderland on 1 October, his seventh game of the season. The match ended 2–2 with James Morrison also scoring on the fourth minute. On 16 October 2011, he was named man of the match in the Black Country derby against Wolverhampton Wanderers, despite not scoring. The match ended 2–0 to West Brom, with Chris Brunt scoring in the eighth minute and Peter Odemwingie scoring in the 76th minute. Long suffered a chipped bone in his knee after a match against Aston Villa after a robust challenge by Alan Hutton, ruling him out for approximately six weeks. On 19 November, weeks before he was predicted injury-free, he played 90 minutes against Bolton Wanderers, a game which Albion won 2–1, with Long scoring what proved to be the winner with a header against a much more physical opponent in David Wheater. On 3 December, Long scored a goal off a deflected shot in the last minutes a match against Queens Park Rangers earning Albion a draw by leveling the game at 1–1. Long once again found the net on 25 March against Newcastle United, with a consolation goal in a 1–3 defeat. On the final day of the season, he scored in a 2–3 defeat against Arsenal to finish his debut season for West Brom with eight Premier League goals. In 2012–13 season, he started off the season very brightly after winning two penalties against Liverpool. Although he missed the first penalty, he won the second, which Peter Odemwingie converted. He continued his good form with Premier League goals against Everton, Aston Villa, Manchester City, Chelsea and Sunderland, as well as a brace against Yeovil Town in the second round of the Football League Cup, to put him on seven goals for the season by the end of November. He finished the season with 11 goals in all competitions, supplemented with two goals for Republic of Ireland. On the final day of the summer transfer window for the 2013–14 season, a move to Hull City valued at £5 million fell through at the last moment, after West Brom manager Steve Clarke pulled out from the transfer. Clarke stated that Long was needed, as he did not have enough attacking options, despite signing Stéphane Sessègnon and Victor Anichebe just minutes earlier both for £6 million fees from Sunderland and Everton respectively. After limited starts at the beginning of the season, he started and scored his first of the season against Chelsea away at Stamford Bridge. The game finished 2–2. Long continued his good run of form against Aston Villa with two superb goals in the first 11 minutes, later being named Man of the Match. On 17 January 2014, Long signed for Hull City for an undisclosed fee on a three-and-a-half-year deal. Long made his debut on 28 January 2014 away at Crystal Palace in a 1–0 defeat. In his next match, at home to Tottenham Hotspur on 1 February 2014, Long opened the scoring in a 1–1 draw. On 22 March 2014, he played in his first match against previous club West Brom at the KC Stadium. Despite a warm reception before the game from the travelling West Brom fans, he won a penalty for Hull after 30 minutes, which has been interpreted as a dive by the West Brom supporters. From then, West Brom fans booed his every touch, and he scored his third Hull goal before half time, cementing a 2–0 win for Hull. Long played in both legs of Hull’s Europa League qualifying tie against AS Trencín before the start of the 2014–15 Premier League season. They were his last official matches for Hull, as on 14 August 2014, Long signed a four-year contract with Southampton for an undisclosed fee, believed to be in the region of £12 million. Three days later, he made his first appearance for the club, replacing fellow debutant Dušan Tadić for the final 16 minutes of a 2–1 defeat at Liverpool in Southampton’s opening game of the league season. He almost scored a late equaliser when he nodded a header just wide of the post. Long scored his first Southampton goal against Stoke City in the League Cup on 29 October, putting his team 2–0 up in a 3–2 victory. He scored his first league goals for the club with a brace in a 2–0 win over Leicester City, having come on as a substitute for Sadio Mané with 22 minutes remaining. On 16 May 2015, Long assisted teammate Sadio Mané twice inside three minutes as the latter scored the fastest ever hat-trick in the history of the Premier League during the first half of a 6–1 demolition of Aston Villa. Later on in the first half, Long himself scored twice to give the Saints a 5–0 lead five minutes from half-time. The second of these efforts was a 35-yard lob which was named as Southampton’s Goal of the Season. 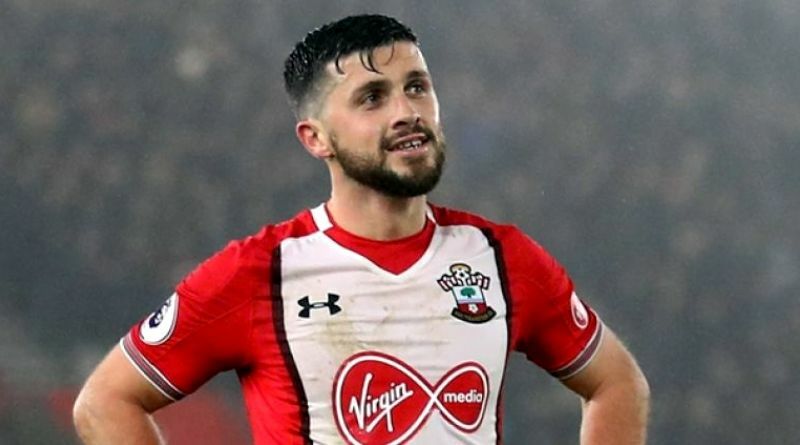 In his first appearance the following season, Long scored Southampton’s final goal in a 3–0 victory over Dutch opponents Vitesse Arnhem at St Mary’s Stadium in the first leg of the Europa League third qualifying round. He scored his first Premier League goal of the season on the opening weekend, coming off the bench against Newcastle to head the score level, bringing the game to 2–2. On 26 December 2015, Long scored two goals against Arsenal in a game that ended 4–0 to Southampton. He scored his 100th career goal in English football in the 4–2 home win over Manchester City on 1 May 2016. On 21 July 2016, Long signed a new contract with Southampton, extending his stay with the club until 2020. He ended a barren run of 23 games without a goal for Southampton on 31 December 2016, when he headed in against WBA at St. Mary’s to give the home side a 1–0 lead. The match finished 2–1 to the visitors. Long’s form for Reading in the 2005–06 season earned him four Republic of Ireland U19 caps. Due to injuries to his Reading teammate Doyle and Sunderland’s Stephen Elliott, he earned his first senior cap for the Republic of Ireland in their 2–1 win away to San Marino on 7 February 2007. When Long earned his second cap as a substitute against Slovakia on 28 March 2007 he became the first person to play both hurling and international football at Croke Park, having been part of the Tipperary team for the All-Ireland Minor semi-finals in 2003 and 2004. Long scored his first international goal in a friendly 1–1 draw against Bolivia on 26 May 2007, and followed this with a brace in Ireland’s 4–0 win over Denmark on 22 August 2007. He was nominated as the Football Association of Ireland Young Player of the Year for 2007. In March 2011, Long was brought on early to replace the injured Kevin Doyle in a UEFA Euro 2012 qualifier against Macedonia in Dublin. His performance was rewarded with a start in Ireland’s next game against Uruguay in which he scored the first of Ireland’s goals with a header in a 2–3 loss. On 26 May 2012, he scored when he headed the winner in a 1–0 win over Bosnia and Herzegovina. He played in UEFA Euro 2012, coming off the bench against Croatia and Italy. On 29 May 2013, Long scored his ninth goal for Ireland, a header against England at Wembley Stadium, a match which finished 1–1. He then captained Ireland for the first time on 2 June 2013 against Georgia, a match which Ireland won 4–0. On 5 March 2014, Long scored his 11th goal for his country in a 2–1 loss to Serbia. On 29 March 2015, Long came off the bench to score a last-minute equaliser against Poland in 2016 Euro qualifier. On 8 October 2015, Long again came off the bench to score the winning goal against reigning world champions Germany in another 2016 Euro qualifier in the Aviva Stadium.